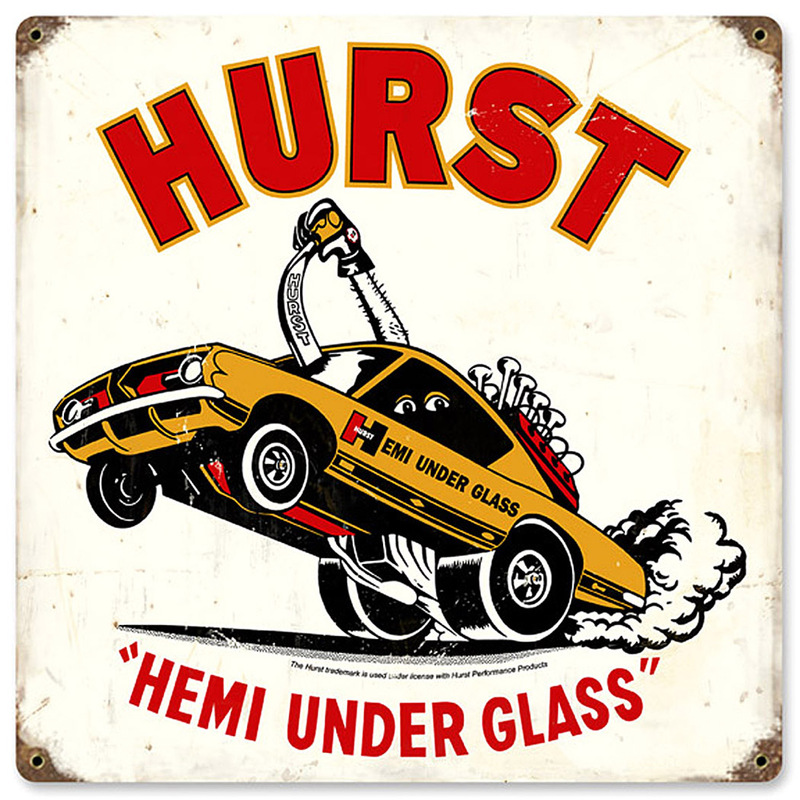 Call for Pricing Hurst Hemi Under Glass (Patina) Vintage Metal Sign 20" x 16.5"
Hurst Hemi Under Glass Sign - 12" x 12" square. This design was painstakingly recreated from an original t-shirt from late 60's. Special thanks to Dennis Kirban for his help with this project. This sign features the wheelstanding Hurst Hemi Under Glass Barracuda. 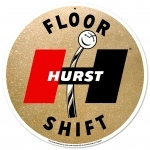 A must for the Hurst Enthusiasts!!! The quality is outstanding, using heavy gauge metal, rounded corners, reinforced rivet hole for hanging, and an exclusive process to reveal rust and patina like a vintage sign should look! These are NOT flimsy, overseas made, cheap signs, but made right here in the USA by our exclusive supplier. These come shrink wrapped for protection and boxed carefully.